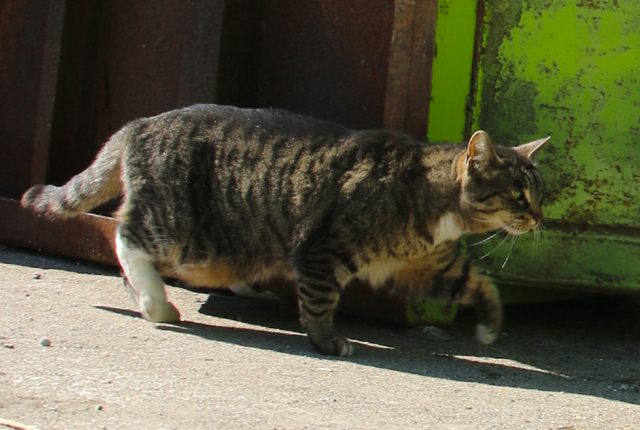 Adventures in feeding and caring for feral cats. 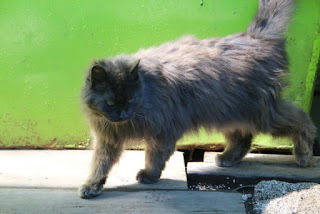 Cherry Street Cats is me (Robin), my husband Steve, Sandi, Michelle, Verena, Vinyse, Derek, Kent, and Connie, a group of dedicated cat lovers who care for a colony of feral cats in the east end of Toronto. I also have a great rescue team of Lesley, Joanne, and Susan. 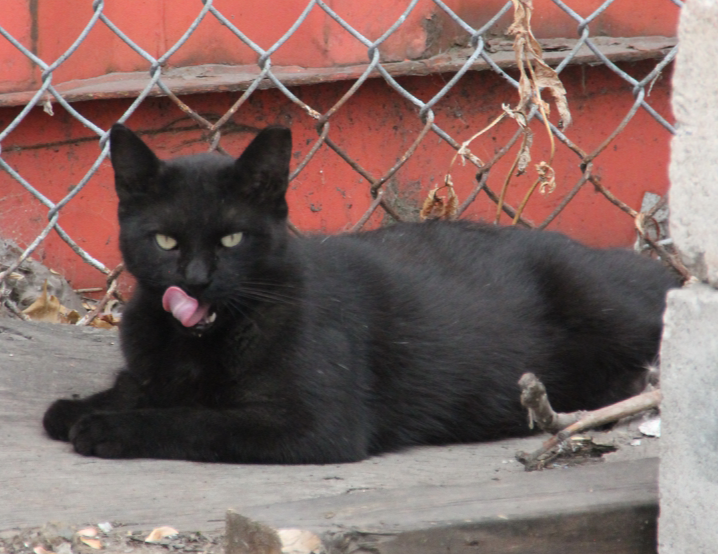 Together we do our best to make the lives better for feral and homeless cats and kittens. 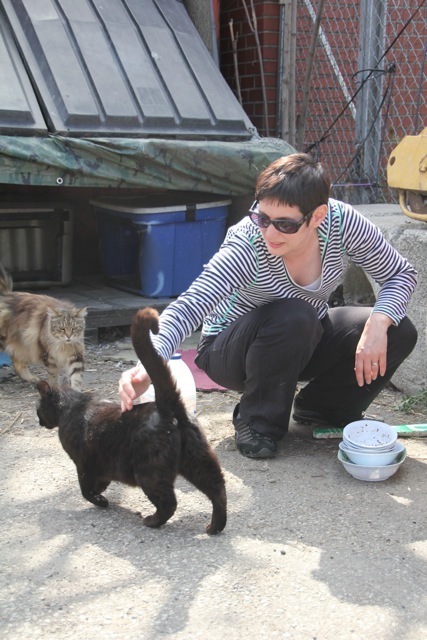 900+ cats helped in nine years! I want to thank you for reading my blog and following my on my journey caring for feral cats. 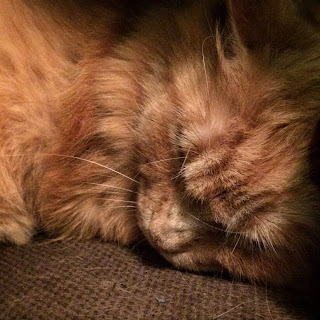 Although my story isn't done, and I still have many cats to take care of, I've decided that this is the end of this blog, it had a beginning and now it has an ending, there is no more Cherry Street colony. We stopped by yesterday and everything is gone, it's a construction site now, I'm profoundly grateful that the remaining five have found great retirement homes. It was an intense ten years, we had 20+ cats at one point in the colony, I got involved in trapping and rescue and have probably helped close to 1000 cats. So many people have helped and supported me and I thank you all! With the Cherry St colony gone I wasn't sure if I would continue this blog. 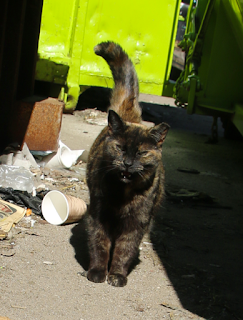 I started it to show the lives of feral cats and my journey taking care of them along the way. In the nine plus years at Cherry Street we did it all, spayed and neutered them, rescued the kittens, lost many of them, fed day in and day out on every holiday and in all weather. Now the last five are safe inside, but there are still many homeless cats needing help. My first blog entry was Thanksgiving Day 2009 when I was catching Tibb's kittens, so it seems fitting to be able to post on this Thanksgiving that I was out catching kittens again, this time at a backyard colony near Dufferin and the Allen. We've been working on it since last year, but so far only got the kittens. Today we got the latest kittens and the mom! I am grateful that she won't have more litters and that these gorgeous kittens will get homes! I apologize for my lack of posts, the last month I've just been catsitting, I haven't had a day off since sometime in June! Thankfully things are calming down now. Susan went away for a week so I got to feed my buddies Pseudo and MC, they are both getting braver, Pseudo stayed out when I came in, he's enjoying his soft bed to lie on. Sophie the tortie has been doing really well at Isabel's, she is so not feral, she is still shy with strangers but sleeps with Isabel! How nice is that! We are just about to do her bio to put her up for adoption. So lots of cats won't be subject to the cold winter winds down by the lake, although after the summer we've had that sounds pretty refreshing LOL. I'm actually happy it's September! Our gang is all adjusting to being inside! Pseudo and MC have made themselves at home, sleeping on cat trees and soft beds, enjoying not fighting for food and water with raccoons. Stubby is with Vinyse and Derek, and although still shy with them, has a very active nighttime life playing with toys. Verena set up a cat solarium for her two, so far Lily is monopolizing it, she gets to look out at the back garden but no longer has to dodge dumpsters and trucks. I think as far as retirements go the cats are doing pretty darn well! It feels odd just driving by and not stopping to feed but I will be catsitting this weekend at Susan's so I will get to feed MC and Pseudo! MC desperately needs a shave, she has a mat hanging off her that is like an entire other appendage. 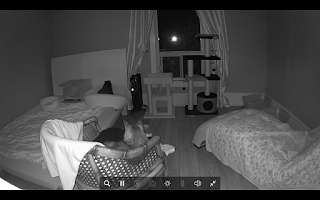 I took Lily and Tibbs to their new home last week, they of course were scared but thanks to the webcam Verena can see what they are doing. Lily looks pretty relaxed, poor Tibbs hides a lot but that was to be expected, it's a huge adjustment for them. Josh is going to build them a catio so that will be amazing for them. Three more cats to trap, it's so strange feeding there now, from a high of 21 cats just six years ago to this, and soon it will be none. I know it had to happen eventually but it's all so sudden, and I still have the worry and responsibility of hoping they will be happy inside. I swore to this group of cats that I would care for them to the end of their days. I have other community cats I feed but it's different, these cats are like a first love. Last weekend we kept walking back to the dumpster even though there aren't cats there any more but yesterday I decided it was time and packed up all the shelters. We still managed to find time last week to do some TNR before the heat wave, finally caught two more females at Larry's and also got a few males from various locations too. 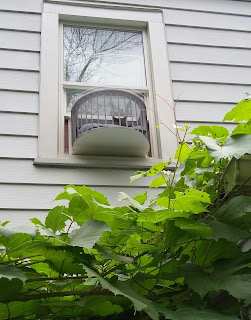 This week I decided it was time to trap Lily and Minky, since the dumpster area is chaotic and they had a home to go to with Verena. I tried Tuesday evening using my plexiglass and wood box trap. It's been set up there for ages and since it isn't metal doesn't look or sound like a trap. Totally to my surprise Tibbs went in, but I didn't have a plan for her so I just let her eat. No luck with Lily and Minky though, I wanted to trap them together or at least Minky first as I thought she would be tricky to get. I returned on Wednesday with Michelle, and we set it up, and Tibbs went right in again sigh. Then we moved our cars hoping the cats would think we had left and snuck back. Next thing we knew Lily was going in and then Minky with her! I pulled the string, the door came down and we had them! Such an emotional moment. Off I drove to the vet with them. The next day was a nail biter, waiting to hear about them. Lily checked out just fine, she already had all her teeth removed previously. Minky unfortunately wasn't the same, she had multiple health issues, I can't say I was surprised, she was looking very rough lately and we suspected she might be close to 14. Heartbreakingly we decided it was best to let her cross the rainbow bridge. RIP sweet Minky, I like to think she is running free in a meadow somewhere with her other BFFs, Socks and Clyde, who passed on before. 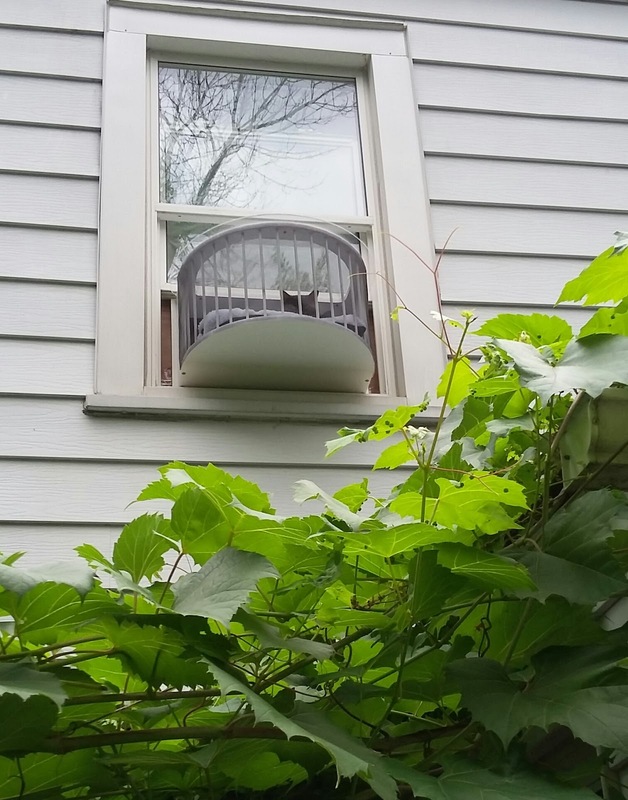 It is the harsh and sad reality of dealing with cats who have lived outdoors their entire lives. When that door closed though one opened for Tibbs. Verena had so kindly offered to take two cats so she agreed to open her heart and home to Lily and now Tibbs as well. I quickly went down and within minutes Tibbs went in the box trap. 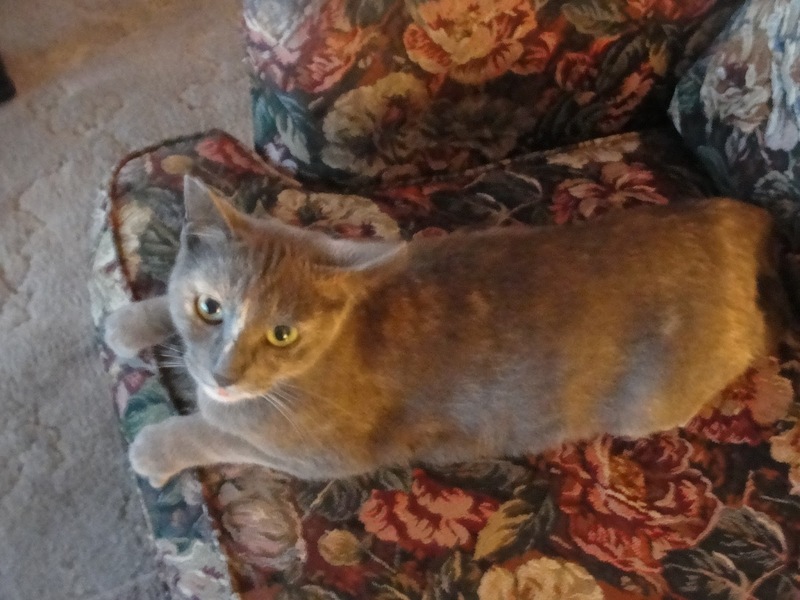 I thought I would never be able to catch her, she was only trapped in 2009 with her kittens, you can read about that in one my very first blog postings. 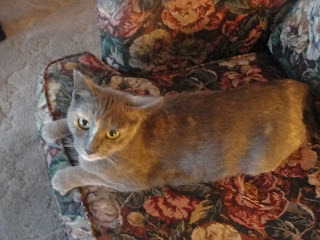 Tibbs is pretty feral so we are hoping she will adjust to being inside. So far all looks good with her, most of her teeth have fall out, just waiting on bloodwork. Need a catsitter? Call me! We've been very lucky to have lots of support for all the cats we care for. If you would like to donate to help pay for cat food or vetting costs, please follow the paypal link, or feel free to contact me. Thank you so much for your support! DONATE THROUGH PAYPAL TO HELP THE CATS!